There is no magic secret or miracle pill that will allow you to achieve and maintain a perfect body for life. If there were, we would all have gorgeous bodies, and never have to watch what we eat or run a single lap on the tread mill. As a personal trainer, and the President of Browning’s Fitness Centers, I have trained, or overseen the training of thousands of people who are struggling with their weight and fitness levels. So I can tell you, achieving your ideal body shape takes time, and determination and consistency. And sometimes, it means saying no to things that you would really like to say yes to. There is just no way around that. But here’s the good news. Getting into shape isn’t a question of skipping breakfast or lunch and starving yourself, or running yourself ragged on the treadmill week. You don’t have to ruin your quality of life just to be fit. Fitness is a state of mind, and getting into shape is about changing how you THINK about the choices you’re making every day. To get you started, here are ten simple things that you can do that will start to shift your mindset, and improve your body shape for life. 1. As much as possible, avoid the high calorie high fat foods that will gather around your middle. Whenever possible try to avoid cheese, chocolate, butter, cream, mayonnaise, and even avocados which are healthy, but can be very fattening in excess. 2. Get in 15 minutes of intense cardio intervals with a 5 minute warm up and a 5 minute cool down. You will be amazed how just 25 minutes of exercise each day will change the way you look and feel. When it comes to exercise, choose quality over quantity. It’s better to do 25 minutes of intense cardio that burns calories and gets your heart rate up, than a two hour walk that will not burn many calories or take the weight off. 3. Remember that your body uses carbohydrates first for energy, then protein, and last of all your body uses fat. So when you’re choosing your food, remember that if you’re a marathon runner, your carbs can come from white bread, potatoes, and pasta, but if you are not in training, your carbs need to come from vegetables. 4. Always keep your portion sizes in mind. All foods have calories, and even too many carrots can make you gain weight. So again, choose quality over quantity when it comes to your calories, and remember to exercise portion control at every meal. 5. Drink lots of water. You need to consume at least 6-8 ounces of water every day in order for your body to work efficiently, filter impurities, and burn more fat. Plus water makes you feel full so that you don’t cheat between meals. 6. The bulk of your food should come from fiber, rather than protein, but remember, even excess vegetables can bloat you and make you feel uncomfortable. Too much of any food is fattening. 7. Be aware of your posture. Stand up straight with your shoulders back, and tucks your abs and your glutes in tight when you walk. Just maintaining good posture alone will lead to a healthier body, and keep you pain free as you get older. 8. Mix up your exercise routines in order to keep your work outs effective. The body becomes more efficient at accomplishing the same movements, and so eventually will no longer challenge you or burn as many calories. So mix it up, run one day, swim another, and spin another. This will ensure that your heart rate in consistently challenged and keep you burning a maximum amount of calories. 9. If you make an unhealthy choice, don’t beat yourself up. Just get back up on the treadmill and start to jog, run, spring or swim again. Guilt is a useless emotion, and will only make it harder to make a healthier choice the next time. 10. Try to eat most of your food by 7 pm. Not only will this improve the quality of your sleep, which is an important component of fitness, but you will burn the calories that you consume before going to bed. In a world obsessed with fitness trends and fad diets, fitness expert Mary Ann Browning stands out with her decidedly simple approach to health and wellness: eat a balanced diet, and work hard. Browning describes these basic principles in such a straightforward manner that instead of rolling your eyes— or throwing a temper tantrum— you can’t help but trust that by following her advice, success is inevitable. Boasting an impressive, intensely loyal roster of clients (celebrities! Fortune 500 CEOs! ), the rapid expansion of Browning’s brand speaks to the success of her methods — there are four Brownings Fitness locations throughout Manhattan alone, as well as nine across the country within boutique hotels operated by the Morgans Hotel Group. A former principal with the South African Ballet Theatre, Browning emphasizes the importance of positivity in her dealings with customers. She credits a childhood dance instructor— who “planted the seed” that success as a dancer was more about hard work than innate talent— with her current emphasis on providing clients with cheerleaders of their own. (With this in mind, Brownings Fitness doesn’t offer traditional gym memberships, only private sessions with personal trainers.) Don’t mistake this caring for coddling, though— Browning makes no apologies about the fact that changing one’s body requires effort, and in particular, strength training (something many women mistakenly avoid, afraid it will make them less svelte and more “Schwarzenegger.”) “By building muscle all over and in neglected areas”— the upper body, in the case of many women— “you burn more fat overall” says Browning. Eat well, exercise hard and consistently; the strategy is a simple one, but, if done correctly, nearly foolproof. Offering up her standard—though consistently refreshing— brand of realistic optimism, Mary Ann Browning sums up her philosophy in nine simple words: “If you want to change your life, you can” she states, quite matter-of-factly. No eye rolls on our end. There is More to Exercise Than Just Cardio! As an exercise professional in the fitness industry for almost 30 years, I have seen a lot of fads, trends, and crazes regarding classes, programs, and equipment. From high-impact to low-impact to step to spin; the constant focus on “cardio” has been and still is a very important component in the movement plan of many people. What’s easier than throwing on a pair of sneakers and going for a jog or a brisk walk? The gratification of cardio exercise is almost instant as you work your heart and lungs, challenge your breathing, endurance, break a sweat, and build detoxifying heat. Plus, the activity helps you to reduce your stress and relax. If you are one who craves a group class rather than the lonely road there are the ever-popular spin classes where you ride a bike with a small group of other determined spinners to see who can go the fastest, ride the hardest, breathe the heaviest, sweat the most, and do it in a club-type setting with great music and atmosphere. Plus, even the most uncoordinated, tight-hamstring, slightly soft male can get on a bike and compete. The ladies are happy because now they can get their guys to accompany them to an event both social and physical: A spin class. As a teacher who has worked with thousands of students who are on a mission to change their bodies and lives, I can honestly tell you that there is more to fitness than cardio workouts. Almost like the media scares us into thinking we need flu shots, the public is also greatly misinformed when it comes to types and styles of exercise. Is there any real need to work our heart muscles to an extreme over a 45-minute period? Does the heart muscle get stronger with such challenge? What are the systemic benefits of regular heart-muscle and cardio challenges like this? Am I healthier? Leaner? More fit? More flexible? Will I have a better chance of living longer because I do regular cardio exercise? In most cases, the answer to all of these questions is either no, or not necessarily so. Cardio is short for cardiovascular, which refers to the heart. Cardiovascular exercise, or “aerobics” as it was referred to in the ‘70s, is exercise that raises your heart rate and keeps it elevated for a period of time. 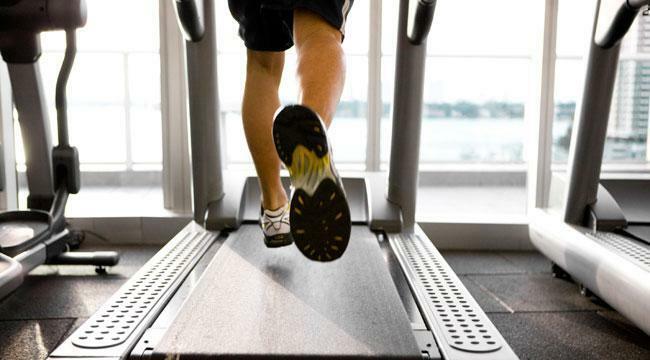 The kinds of exercises that are associated with cardiovascular workouts are things like jogging, fast walking, spinning, and swimming, where there is no break in the routine. Exercises that emphasize stretch and strength, like pilates or yoga, are generally not considered cardio exercises, although both of these exercise systems can be performed with a “cardio effect” with the right pace and flow, and can certainly be combined with cardio workouts to great effect. There are more and more hybrid-style classes these days. At Exhale we teach our award-winning Core Fusion Cardio and Core Fusion Boot Camp classes, which combine cardio-type pace and flow with light weights and strengthening moves. A true cardio workout is when you are working at around 60 to 75 percent of your maximum heart rate for a minimum of 20 minutes. Simply stated, you should be able to talk while you are working out. If you are too winded to speak comfortably, your heart rate is probably too high and you need to slow down. The fat-burning cycle needs a very specific heart-rate zone, otherwise you won’t burn fat calories and will switch to an anaerobic energy cycle, which is more intramuscular energy supply and results in a different effect. For the average American, walking is the exercise of choice, and if the walk is brisk and purposeful over time, a person can get the required cardio benefits needed to maximize his or her health. The need to push to extremes with intense cardio does not necessarily give you proportionately greater cardiovascular results in the end. It is the spirit of fun and competition that drives the hard-core runner, spinner, cardio junkie. They love the cardio high from exploring and challenging their limits, but in the end, their net results are no greater than the purposeful power walker who is choosing an activity that is much less stressful on the joints than running or jogging. Eventually, the knee, hip, and ankle joints of the runner could suffer from the pounding effect of the activity. Other forms of cardio exercise, like swimming, begin to make more sense. What’s important to remember when choosing a movement plan is that the single most important component in fitness to maximize results and create life-enhancing changes is strength training. With a resistance-training program, such as weight lifting, pilates, some forms of yoga, our Core Fusion® classes at Exhale, and other techniques, a person has the potential to increase lean muscle mass. As one ages, the three deficits that grow annually are muscle density, bone density, and muscle elasticity, which reduce our range of motion. A program that incorporates resistance training will increase muscle density, lean muscle mass, and, most importantly, it will raise your resting metabolic rate, or RMR. This is the rate at which you burn calories round the clock, 24/7, not just the one hour that you are on the bike or going for a run. By having a body with a high percentage of lean muscle mass, all of your other exercise choices including cardio will be more effective and safer. Muscles support joints, so if muscles are stronger, the joints have more integrity. By incorporating flexibility exercises into your strengthening work, you are promoting suppleness in the body, which is especially important for the muscles that line the spine. As Joseph Pilates once said, “A supple spine is a youthful body,” and in the end, isn’t that why we exercise, to stay youthful, energetic, and vibrant? You would be wise to make exercise choices that will enhance your lifestyle and make these exercises a part of your lifestyle. Do the exercises that you need to do that will pay off a year from now and should be looked at as an investment. I am talking about the exercises that you know that you need, not necessarily the exercises that you look good doing. I have trouble getting the competitive male to sometimes take Core Fusion® classes simply because he cannot get into the positions. Hamstrings are too tight, stomach a little too soft, back too tight, but the biggest problem is usually the ego being too big. If there is a will, and humility, a person can start building a physical foundation that simply improves over time. There is not much instant gratification sometimes, but with patience, perseverance, and consistency, it is possible to be in better shape in your 50s than you were in your 20s. Lifestyle exercise that reduces stress, shapes your muscles, and builds strength and flexibility, all while simultaneously giving you the needed cardio benefits, will go a long way in enhancing your life.